Our travel planning service is the perfect companion for your trips. Be it short breaks close to home or longer trips wherever in the world, we can help you build your ideal holiday from scratch according to your tastes and budget. With our experience in travel we will be able to assist you with your planning until you will be satisfied with your custom made itinerary. No need to worry how to get from A to B, or whether it is a good time to travel to that exotic destination. We've got you covered! Your trip will be planned according to your tastes and budget. Whether you are a nature lover, a luxurious honeymooner, an adrenaline junkie, a shopping lover, a sports enthusiast, a foodie etc. your trip will be designed for you. Why should you stress yourself? Planning a trip to perfection is very time consuming with all the information that is on the web. We can do that for you. 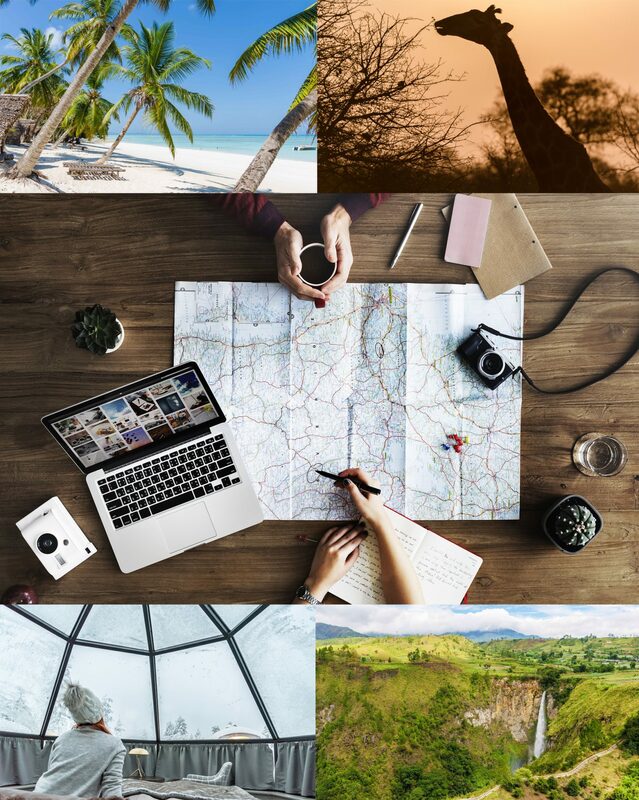 Since trips will be planned around your needs you can design your own itinerary and travel whenever and wherever you want to. There is no need to stick to any particular dates and you can handpick the activities you want to include. Why should you opt for travel planning? Our services are ideal for anyone wanting to travel on his own but cannot plan their trip. The information online can be overwhelming and filtering the necessary information can be complex and time-consuming. If you do not have the luxury or the skill to do so, we can help you out. Click on the ‘Get in touch’ button on the right or send me an email on [email protected] If you prefer you can leave your number and I will call you back. I will send you a form to fill out to get an idea of your tastes, budget and what you are looking for. I will start making research depending on your requests and email you back with a draft itinerary and an invoice with the total fee to get your trip planned. When the payment is received I will start working on your customised day by day itinerary. We will be in contact throughout the planning of each aspect of your itinerary. We can change and adapt the itinerary to your pace and style until you are completely satisfied with your trip. You can pay via wire transfer, Revolut or via Paypal with your credit card. We can also discuss other payment options that can suit your needs. How does an itinerary planned by you look like? Click on the link below to subscribe and we will send you a sample itinerary, so that you can get an idea of what our itineraries look like. Basically you have two options: basic and premium. The basic option is ideal for the standard traveller; anyone visiting one place and getting around with public transport. The premium option is designed for the discerned traveller who is interested in photography or who is moving from one place to another with private means of transport. Below is a summary of the difference between these two options. Check out for our Travel Map for some travel inspiration. Transform your travel goals into reality whether it is sleeping in a glass igloo in Lapland, to go wildlife hunting on a safari in Africa, to relax on a beach in the Indian ocean …. Your bucket list will start getting ticked with our help. If you are interested in making use of our travel planning service for your next trip click on the button below and we will get back to you.